We have been blessed recently with new cookbooks from David Lebovitz and Patricia Wells, which I have read. While neither is comprehensive like Dorie Greenspan's spectacular Around My French Table or Jacques Pépin's Essential Pépin, they are welcome additions to my cookbook shelf. Lebovitz started out at Chez Panisse in the late 80s and most of the 90s, and the training he got there shows. He subsequently wrote Ready for Dessert and The Perfect Scoop, the latter of which is my ice cream bible. He has a spectacular blog, where he writes about Paris, where he has lived for ten years, and his travels in France and elsewhere. He also writes about all aspects of food, from sourcing it at Paris' great markets and specialty stores, to cooking, and his recipes are nearly always excellent. My Paris Kitchen is a wonderful book. First, it has great recipes, which Lebovitz has culled from French classics with his own insights and changes. The introductions to the recipes, giving histories of where he found them as well as possible variations, are very useful, as well as entertaining. 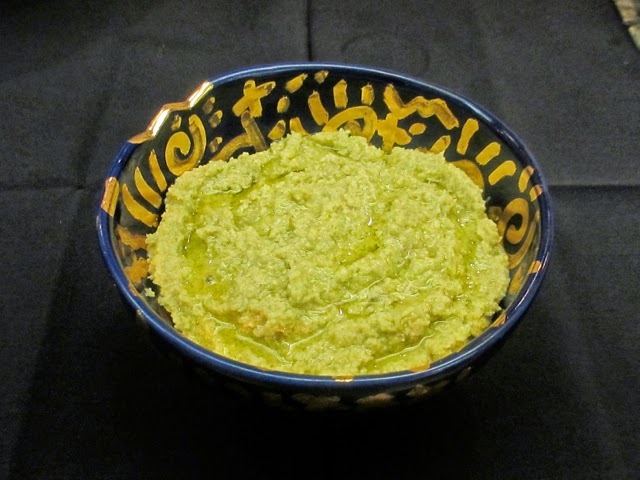 I have made only a couple of the recipes -- Artichoke Tapenade with Rosemary Oil and French Lentil Salad with Goat Cheese and Walnuts -- with excellent results, and I have checked off about 60% of the rest as "must tries." This is a very high percentage for me. The recipes are clearly expressed and a special bonus is that they are given with metric weights. I wish all cookbooks would do this, as it takes the guesswork out of many aspects of cooking, especially baking. Second, the photography, by Ed Anderson, is magnificent. 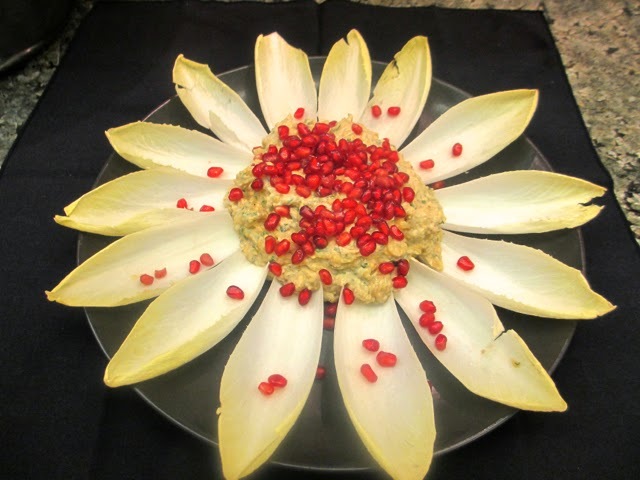 Not just beautiful, but also helpful to the home cook, showing beautiful ways to present the dishes. 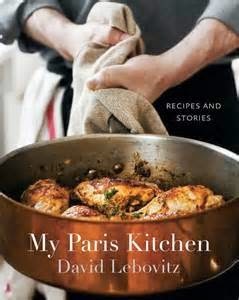 Finally, the book offers Lebovitz's insights about France, Paris and cooking in general. He has a style that I find a bit precious but nevertheless is clear and informative. It was Lebovitz who, in a different book, taught me to say Bonjour! upon entering any store -- even a stall at a flea market or at a food market -- and that has stood me in good stead over the years. His new book says that the French consider it bad manners to be less than 20 minutes late when invited to dinner; I plan to investigate this but I suspect it's true. Wells has been writing cookbooks for decades and some of my copies are pretty dog-eared, especially Bistro Cooking and Trattoria. 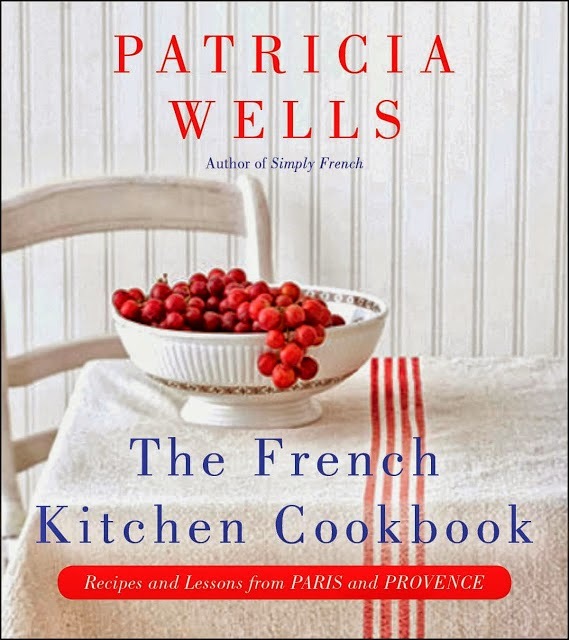 I have also used The Paris Cookbook, Patricia Wells at Home in Provence and Simply French. She also teaches, and has learned to simplify, and her new cookbook is noteworthy for the non-intimidating presentation of a lot of updated French standards as well as recipes from elsewhere in Europe (a classic Spaghetti Cacio e Pepe, for example) and from Asia (Asian Coleslaw with Sesame Soy Dressing, Shrimp in Spicy Coconut Broth, among many others). 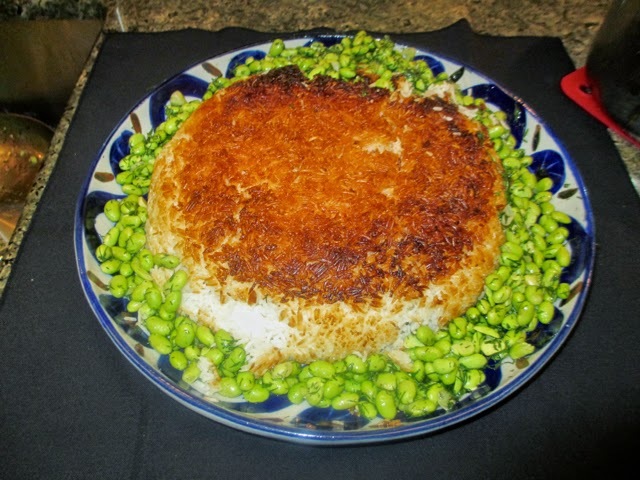 The recipes are clearly expressed and, like Lebovitz's, give metric measurements. I haven't actually cooked from this book yet, but plan to do so, probably often. 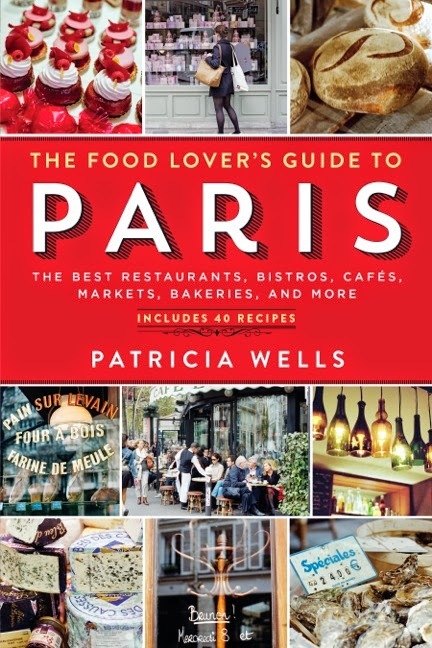 Wells has lived in Paris forever, and knows the city amazingly well. She has finally gotten around to revising her classic book on where to eat and shop for food, kitchen equipment and related items, and this is welcome news. The fourth edition was my go-to book when we bought an apartment in Paris in 2001, and enriched our Paris culinary experience immeasurably. The new edition has been thoroughly revised, and I am eager to get back to Paris to start using it. The restaurants and bistros listed are often ones that I have never heard of, but I trust her and with her help will seek out new adventures. An essential for food lovers en route to Paris!